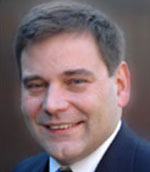 Andrew Bridgen is the MP for North West Leicestershire. He’s a successful local business man living and working within the constituency, as a result he understands what needs to happen in the area to help the people and business succeed. Andrew is committed to making North West Leicestershire a better place to live and work. Andrew was born in 1964 in Burton upon Trent, Staffordshire. He attended Netherseal Junior School and later The Pingle School at Swadlincote where he gained 11 O-Levels and 4 A-Levels. He went on to study genetics and behaviour at Nottingham University, graduating with a degree in Biological Sciences. After graduation, Andrew trained as an officer in the Royal Marines. He returned home at 23 to help with the family market gardening business. Alongside brother Paul, he decided to diversify the business into producing pre-washed potatoes. They formed AB Produce in 1988. The company is now located in Measham and produces pre-prepared potatoes and vegetables. They employ 230 members of staff. Andrew is a former ‘Young Executive of the Year UK’ and ‘Young Director of the Year (Midlands) Medium sized business’.